When it comes to any Marvel-related production and comics, an avid fanatic like me would simply want to get my eyes on the iconic flipping of the superhero comics before the start of the film. The previous record of the five X-Men films (which I have all watched with much addiction) makes me wonder if the new plot could continue in any interesting way. By far, X-Men is the only movie where the mission of the superheroes is not simply to save the world from a greater evil, but provides a great platform for the discussion of humanity. Providing a more mature way of dealing with issues that reflect everyday life, the movie presents a discursive recourse of how the consequences of one's action might lead to such heart-wrenching devastation. In this movie, we see how human beings, when threatened with a power greater than themselves, would resort to relying on machines (i.e: Sentinels) to exterminate the mutated human beings (or mutants). Of course, nothing is ever good with a machine that mutates itself using the DNA of the fathomable Mystique. Shh, no spoilers here. The movie starts in the future, where Kitty Pryde has to teleport the consciousness of Wolverine from his 2023's body into 1973's. The shifts between the past and the future throughout the movie was easy to catch. The future portrays a desolate and beaten New York City, with the Sentinels hunting down X-Men. There were several parts of the movie that were seemingly similar to other Blockbusters— such as the Sentinels uncanny resemblance to the Dementors in Harry Potter, as well as the make-up of Bling (Fan Bing Bing) to Arwen from The Lord of the Rings. The cinematography depicted an excellent portrayal of the superheroes' powers— mostly showing the greater power of the outrageous Sentinels against the helpless mutants. As the last few standing X-Men combined forces to hold back the sentinels, the previous hatred between Professor Xavier (aka Charles) and Magneto were no longer in play. In this movie, you will see much forgiveness, lots of longing, and a lot of trust. 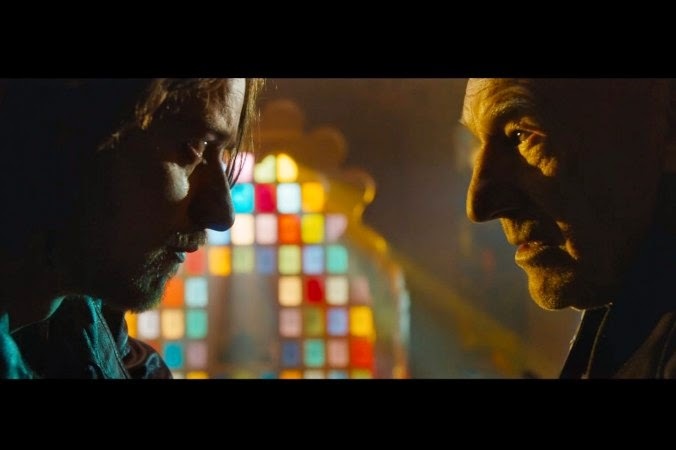 One of the most moving scenes in the movie was when the consciousness of Charles' younger-self is transported to the future to meet his older-self (Professor Xavier). I thought that was deeply touching as the light rays from colourful stained-glass windows seem to illuminate the face of Professor Xavier, as if to symbolise enlightenment or wisdom. “Just because someone stumbles and loses their way doesn’t mean they are lost forever.” — Professor Xavier. Sadly, romance and passion takes a back seat in this movie, but you will be able to catch Wolverine's Old flame and many other favourite characters. Several continuity errors from the previous films are spotted (e.g: How is Prof X even alive?! ), but the gruelling sound effects will make you completely forget that for a moment.